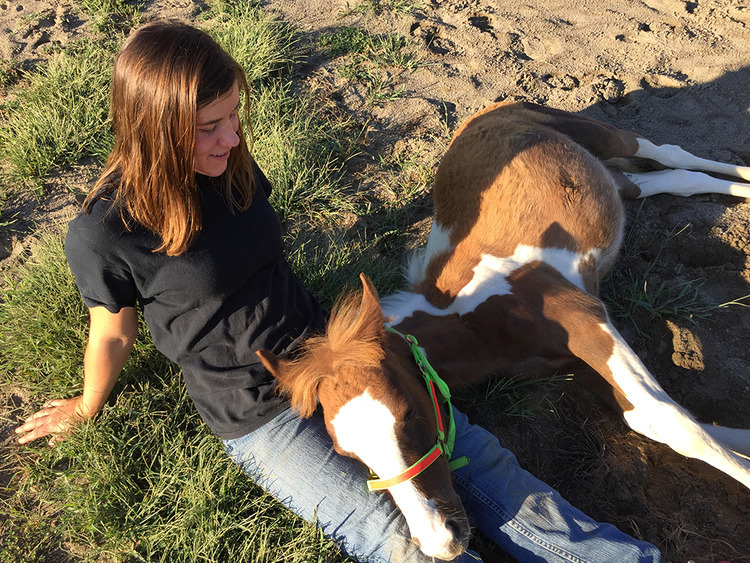 It was a hot day in July when 15-year-old Laura Bagley first caught sight of Tug the pony. He was standing in a pen on Assateague Island, Virginia. 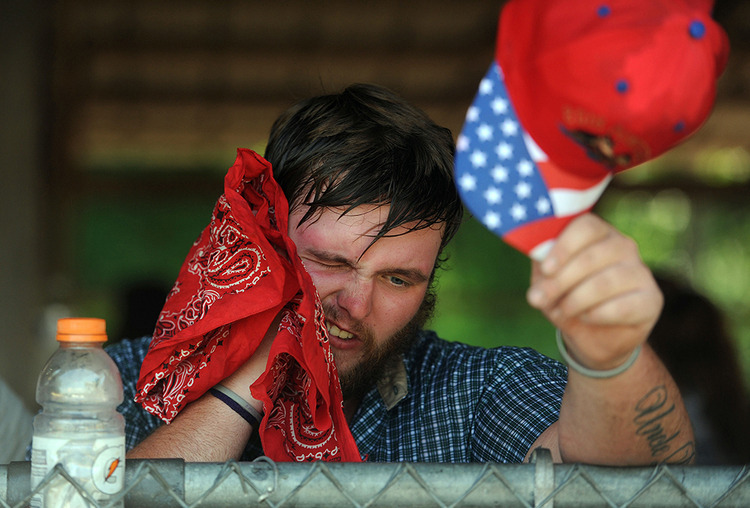 The next day, he would take to the water in the 91st annual Chincoteague pony swim. Laura liked the way he looked. He had unique markings. Big streaks of white splashed up his legs. Laura knew her dream was about to come true. She had won the Feather Fund award, which meant that when she returned home to New York, she would be taking a pony with her. Would Tug be the one? Every year, about 60 ponies are born on Assateague Island. If they all continued to live there, they would soon run out of food. So every summer, people in Chincoteague round the ponies up. 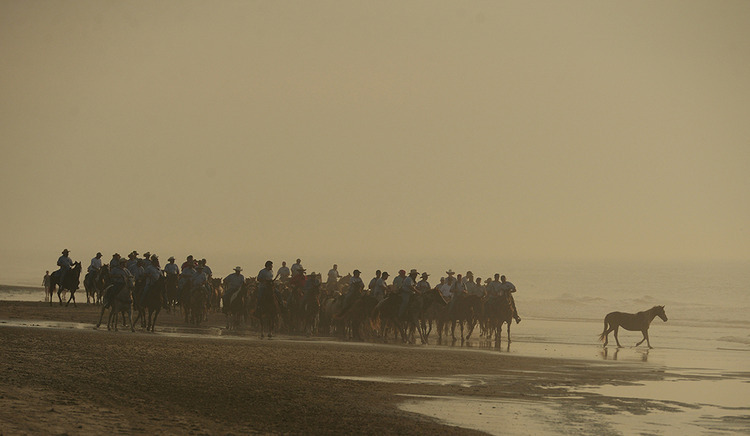 Saltwater cowboys herd them across the bay to Chincoteague Island. There, the little foals are auctioned. Thousands of people come see the swim. They watch from boats and land. The air fills with the sounds of whinnies as the ponies swim the short distance between the islands. As the horses came out of the water, Laura saw Tug again. Even in the confusion, he looked right at her! She noticed he wasn’t panicking like the other foals. He seemed relaxed—just the kind of trait Laura likes in a horse. The ponies rested for about 45 minutes before parading down Main Street. Laura kept watching. Tug was still calm. Laura really had her eyes open when Tug walked into the auction ring. He didn’t look so calm now! Like all the foals on Assateague, Tug had not been tamed. Saltwater cowboys were restraining him. He threw two of them to the ground! But Laura knew she had found the pony she wanted to train—even though he had a wild side. 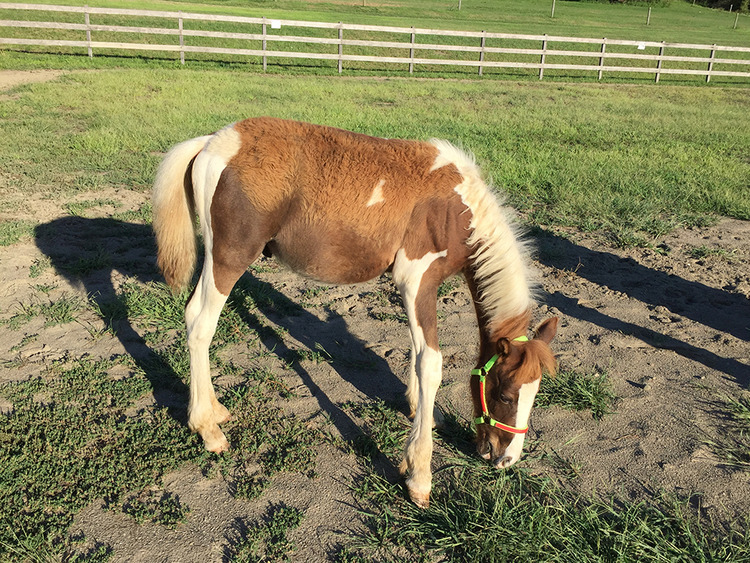 Going, going, gone—to Laura Bagley, winner of the Chincoteague pony!